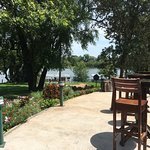 Thank you for taking your time to review the A`Zambezi River Lodge, It was a pleasure to host you and we really look forward to hosting you in the near future. Stay well and once again, thank you very much for giving us an opportunity to be your hosts and to be of service to you. We are glad that you enjoyed your stay in our refreshing hotel and we look forward to seeing you soon. 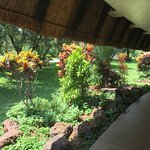 Thank you for choosing to stay at the A`Zambezi River Lodge. Many thanks for your positive review on Trip Advisor, we are pleased that you had a wonderful experience at A`Zambezi River Lodge. Thank you for the positive review that you posted on our wall, we greatly appreciate. We would like to take this opportunity to thank you for choosing to stay with us and we look forward to welcoming you back again. 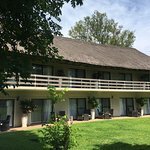 Thank you for taking your time to review Azambezi River Lodge on Trip Advisor, we are delighted to note that you had a restful stay at our hotel and we met your needs. Thank you once again as we now look forward to staying with you again in the near future. 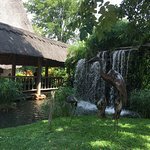 Many thanks for taking your taking your time to review A`Zambezi River Lodge. It was a pleasure to have you as our guest. We look forward to welcoming you back soon.